How to Create Content for Social Media in 10 minutes! 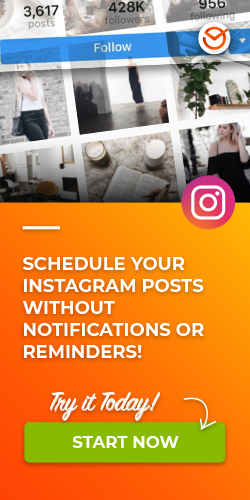 Schedule photos and videos on Postcron to be posted as Stories or Posts without notifications or reminders! All of us at Postcron, surely like many of you, have had weeks of creative exhaustion, where not even with Messi’s brain cells could we manage to create content and come up with different ideas for updating our social networks with new posts. We know firsthand, how frustrating it is to spend hours and hours in front of the computer performing a super repetitive but necessary task: researching new items, trend topics, keywords, profiles of influencers, analyzing the competition, reading all kinds of blogs looking for the very best to create content for social media. This type of situation, which doesn’t make any of us happy, was the kickstart for creating a Postcron feature that enables us to automatically create content and we can’t wait to share it with those of you who are encountering the same situation as us. It’s not the key to happiness my friends… but it’s a step in the right direction. 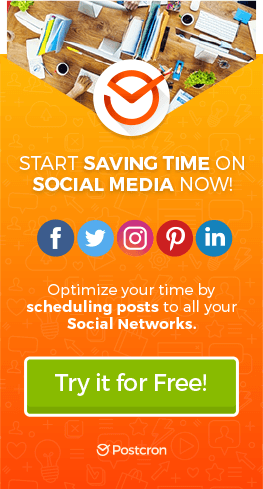 Find out below how you too, can create content for social networks in less than 10 minutes and schedule your entire week’s posts for your social networks! Why did the idea of creating content for social media automatically arise? Redundant tasks are not at all compatible with the free and creative spirit of an entrepreneur since they strip us from all inspiration and time we could’ve spent handling the matter that really helps us develop our potential clients and our business. At Postcron we have one goal which guides each and every one of our actions and decisions: to save the most amount of time possible on repetitive tasks by automatizing the process and devoting that time to something that will take us further. This new feature was also born out of inconvenience and frustration: we realized we were spending too much time and money trying to find interesting content for our accounts on Facebook, Twitter, Goolge+, etc. We can truly say that we hit rock bottom when we took on a Workana job (a website for freelancers) to put together a list of the 100 best social media articles from the past 6 months. This gave us a source of inspiration for creating content for our Social Networks and additionally created a “stockpile” of articles to share and keep our accounts always up to date with interesting posts. 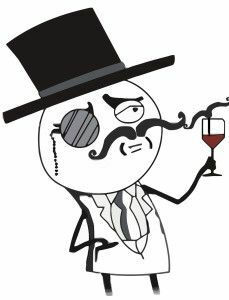 The now not so “young” engineer, starts thinking that the job he did for Workana could’ve to be automatized and not only would this benefit us ourselves, but our clients as well. That’s why he developed a search engine that uses an algorithm for finding suggested content for Facebook, Twitter, Google+ and our other social networks, whatever the category may be. Yes, Ladies and Gentlemen! This feature not only allows us to save time creating content for social networks but also provides a solution to one of the most common problems anyone trying to strengthen their community on social networks faces: the lack of constantly updating (every 4hs) Facebook, Twitter, Google+ and LinkedIn pages with material relevant to their audience. And this is critical because as we pointed out in one of our previous articles: everything we do and fail to do on social networks is out there for our audience to see and we will be judged by it. What does the App to Create Social Media Content do? It searches for the most current and viral content, in just seconds, from your favorite influencers, blogs, online magazines, etc. and recommends it as the content you can use on your social networks. It automatically schedules and programs the gathered content so you can publish it whenever you see fit. How to Create Social Media Content with the Postcron App? Log on to your Postcron account. Open the “Content Gallery” tab and go to the “Suggestions” option. Type in the keywords that are of interest to your followers. 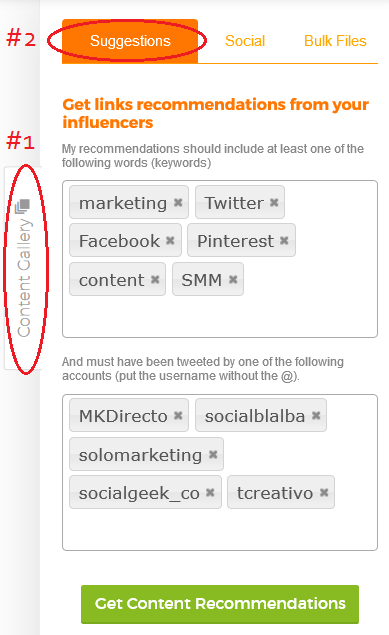 Type in your influencers’ Twitter accounts, journals from your sector, important people, etc. Click on the “Get Content Recommendations” button. Postcron will search for the best content to share with your followers on Social Networks. Schedule any post you find interesting with just one click. How does Postcron Select the Best Content for Social Networks? Well, the algorithm is a little too complicated for us to go into detail, so we’ll just explain the basics: Postcron searches for the most retweeted content and the content that has been marked as a favorite the most – liked, as they say on Twitter-. And by doing so we get excellent quality material from the influencers. In addition to retweets and favorites, the algorithm makes sure that everything you’ve selected has a valid link, appropriate text length and obviously that the content corresponds to the keywords you entered. How Much Time Creating Content can you Save with this Tool? In order to know exactly how much time a person can save using this tool, we decided to time each activity listed in the search and perform content analysis on the top 20 influencers 20 best articles. Keeping the same criteria and requirements that the algorithm applies for selecting articles, we performed a manual search for the posts, reviewing them one by one, and selected the ones that seemed to suit our needs. 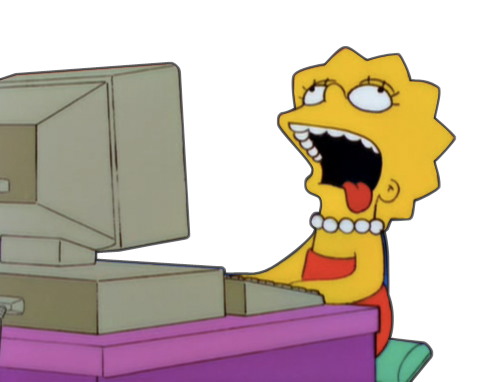 Then we entered all this info into an Excel spreadsheet, ordered it, and scheduled it. The total of time? 2 hrs 22 min. Only for 20 articles. This doesn’t take into account the time it would take to manually upload each article at a specific time. To get a better idea of how much time we save let’s imagine that we had to complete everything that the search engine does: analyze 100 influencers and their top 100 most viral articles all filtered by keywords: it would take a total of 55 hours. That would be more than 48 hours of non-stop work without sleeping, eating and more! 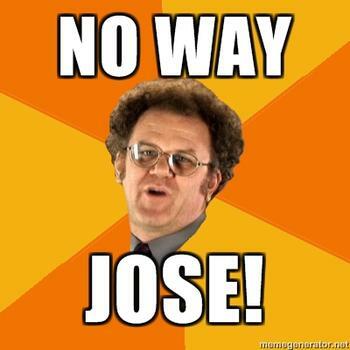 “No way Jose”? We don’t want that life either! We’ll show you how to use this tool right this very moment! You no longer have any excuse for abandoning your fan page, nor for not building a relationship with your fans. Remember that the key to developing a community with your fans lies in the content you share since this is the starting point for generating awareness, participation, and loyalty among your fans. Here at we are more than happy to be able to provide our users with a new, a free, option so that they can save time and use it more wisely. Did you like this tip? Don’t forget to share this with your colleagues! You’ll be the group hero! Facebook: Tips, Advice, Tools and a lot more. How to Schedule Many Posts at once or Make a Bulk Upload? How to Add Watermark to Photos and Images? How do I Increase Traffic to my Website through Social Networks? How do I Improve my Community Manager Work? How to Host an Online Facebook Party?